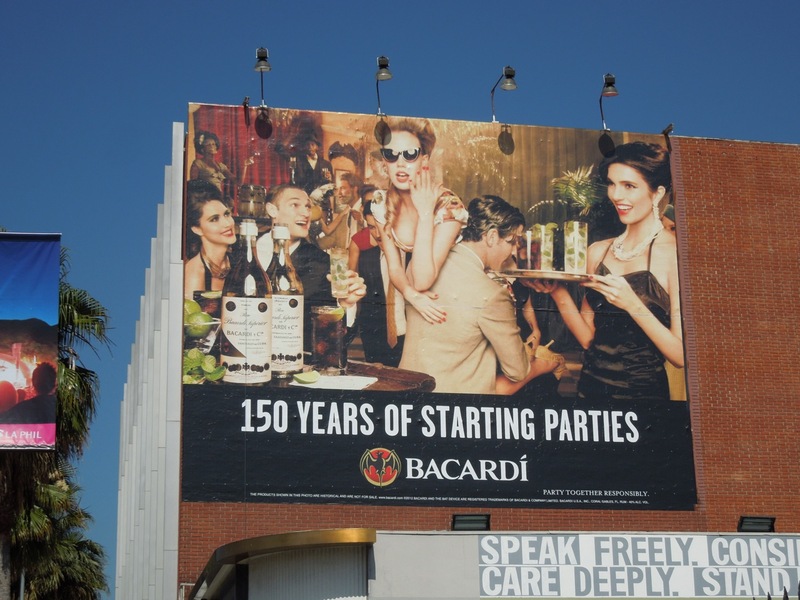 Apparently Bacardi has been responsible for 150 years of getting parties started. 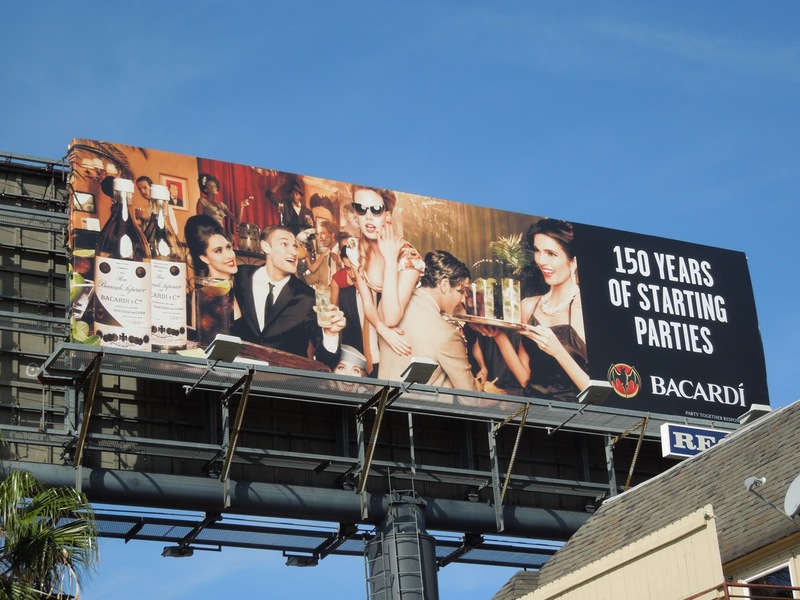 Daily Billboard believes that would make for one big hangover. 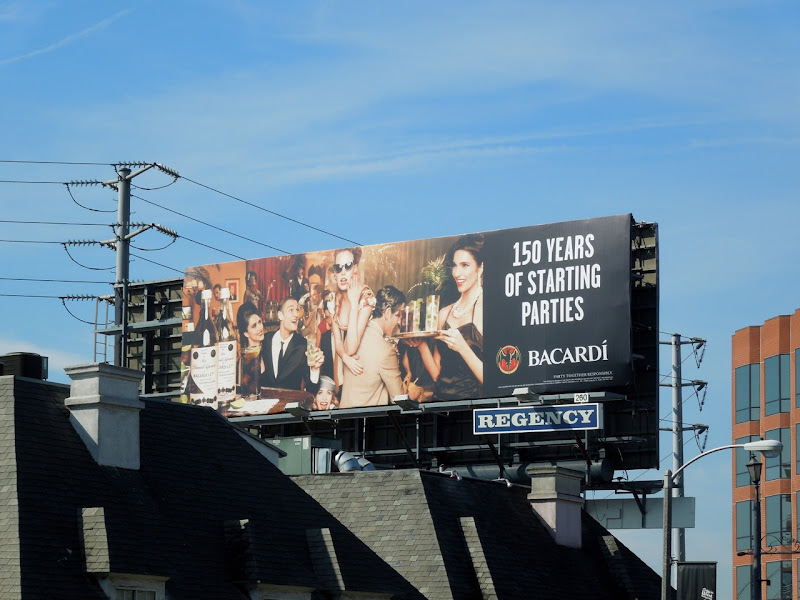 This new ad campaign for Bacardi's milestone celebration seems to effortlessly capture that period and contemporary party feel at the same time. 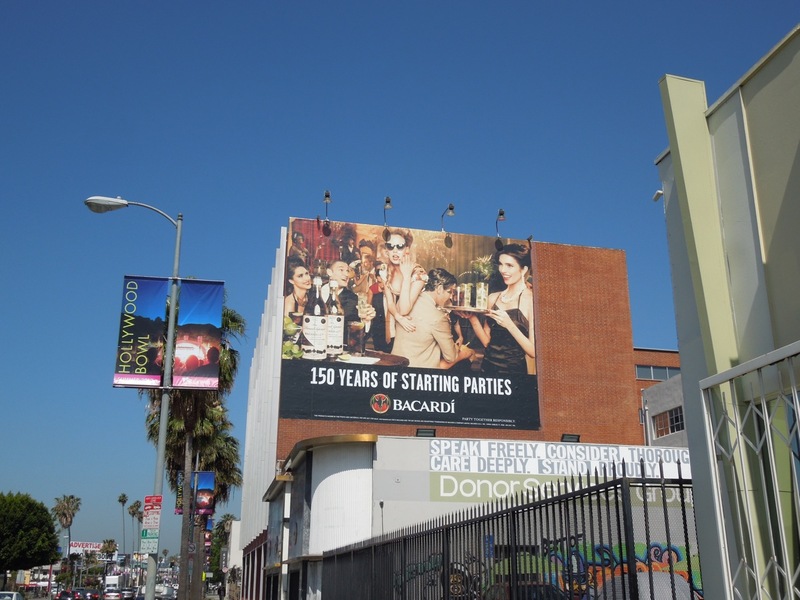 These billboards were snapped along Sunset Boulevard at Holloway Drive on April 18, plus further east along The Strip at North Kings Road on May 3, 2012. 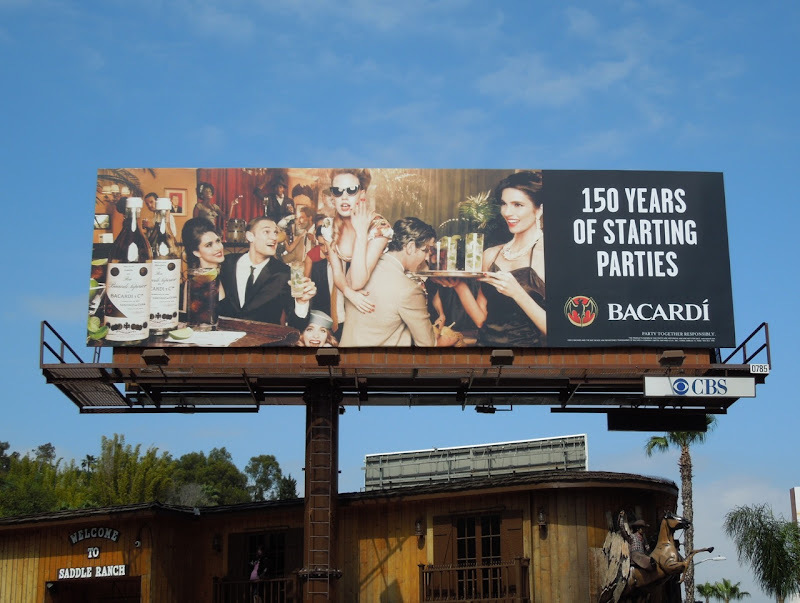 If you like these, be sure to check out some examples of the Bacardi Together bat logo ad campaign from 2010. 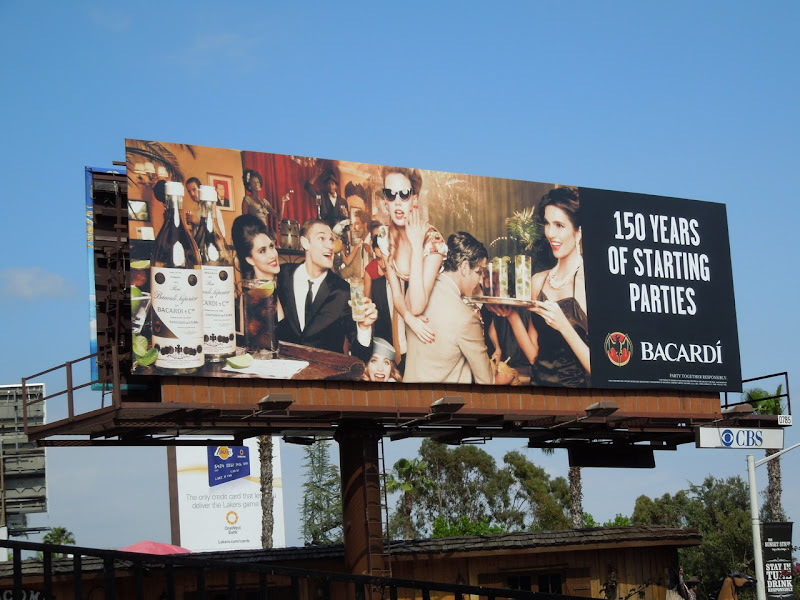 Cheers, let's raise a glass to your good health and another 150 years Bacardi. 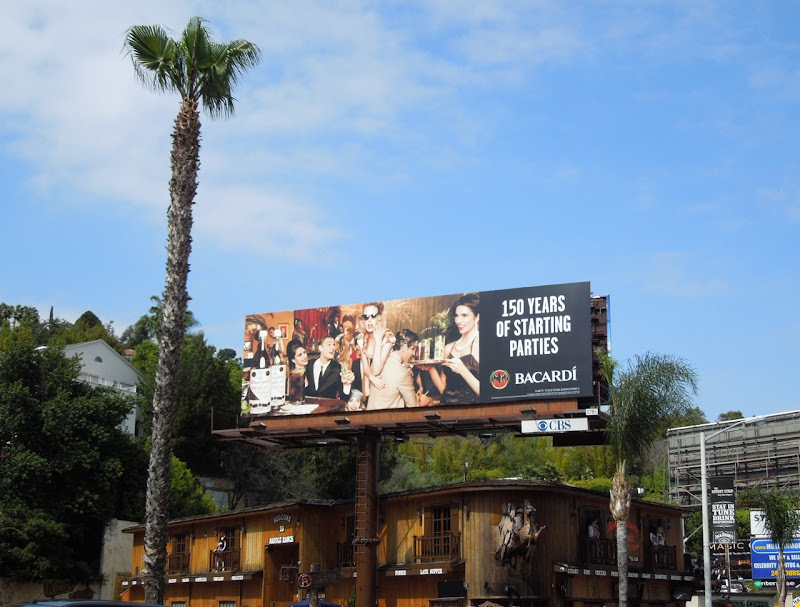 UPDATED: Daily Billboard came across this slightly larger version of the ad campaign along Sunset Boulevard in Hollywood on May 29, 2012 and couldn't help but share it.